Did You Call? 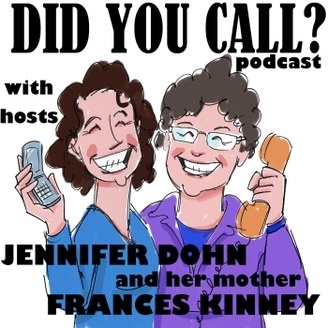 is a weekly podcast hosted by Jennifer Dohn and her mother, Frances Kinney. 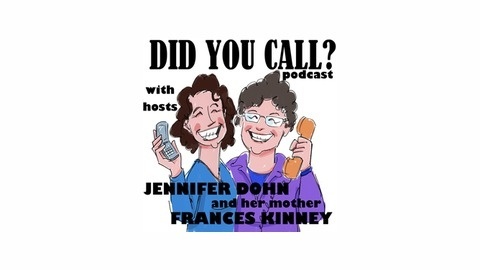 Covering everything from parenting to relationships, Brooklyn-born Frances and California-girl Jennifer bring their bicoastal banter to the information superhighway to explore and learn about life. We wake up every day with expectations- will it be a good/bad/productive/frustrating day? And that's just my expectations around ME...what about my expectations around the people in my life? We discuss how expectations can turn on you and corrupt your relationships. We also talk about the value of practicing communicating with your partner and how to communicate your needs even when it makes you feel uncomfortable.